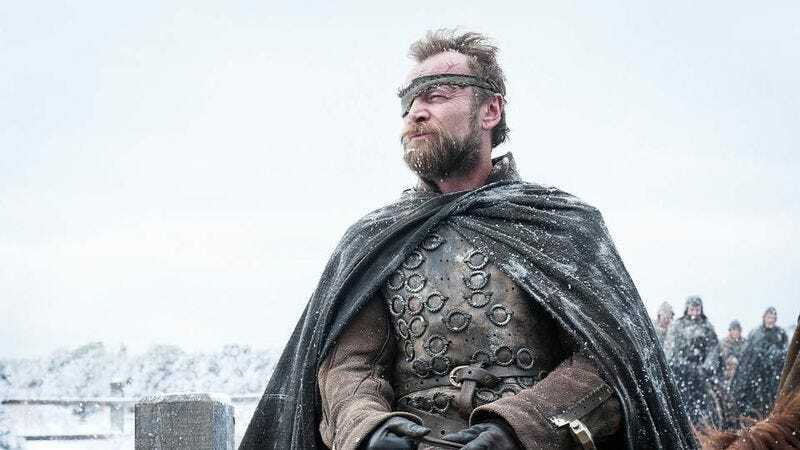 Some Game Of Thrones fans weren’t crazy about Ed Sheeran’s much-hyped appearance on the show’s recent season premiere, but they can all breathe a sigh of relief now that HBO has released a new batch of Game Of Thrones photos that don’t feature a single glimpse of that adorable moppet’s ginger locks. But what do they feature? Well, nothing particularly surprising if you did see that aforementioned premiere episode, but let’s break it down anyway. Here’s Daenerys and Tyrion admiring the big map table that Stannis Baratheon would plan all of his terrible strategies on a few years ago. As you can see, Ed Sheeran is not in this photo. Here’s Littlefinger standing a little too close to Jon Snow while they talk about something. What are they talking about? Probably not Ed Sheeran. Hold on, did somebody say Ed Sheeran? Because they certainly caught the attention of his friend Arya Stark, seen here riding a horse while looking over her shoulder. Now we have Samwell, the smartest and bravest character, holding some books for Jim Broadbent. And there’s Sam’s best friend Jon Snow, hanging out with Stannis’ old best friend Ser Davos. Stannis is dead, though, so maybe Davos is hoping Jon Snow could be his new best friend. Wait, is that Ed Sheeran? No, it’s clearly Sansa Stark, whose hair just looks a little bit like Ed Sheeran’s hair. HBO will have a new episode of Game Of Thrones on Sunday, and if these photos are anything to go by, Ed Sheeran will be nowhere in sight.